A contemporary exotic hand tied bouquet in stricking oranges and yellows. 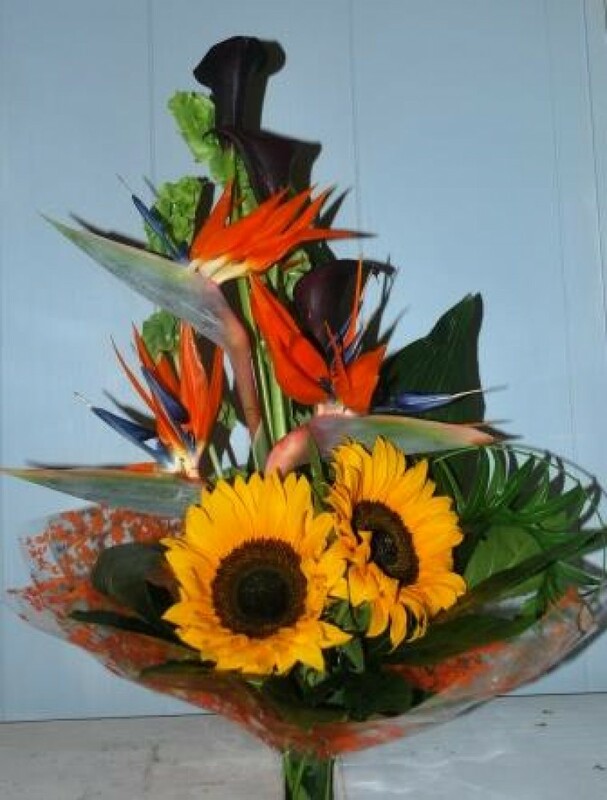 Birds of Paradise, calla lilies and sunflowers are surrounded by pleated foliage. Ideal for a tall vase. A gift for someone or a treat for yourself.